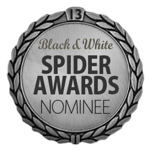 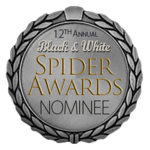 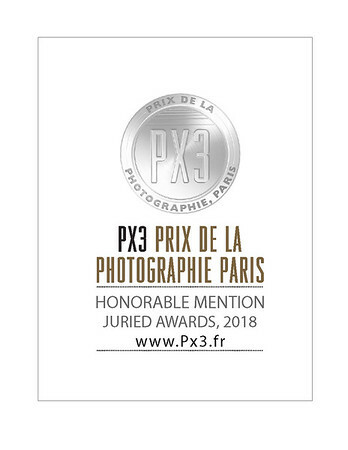 2018 - "The Kick " has been awarded in the prestigious PX3 Prix de la Photography - Honourable Mention and in the 13th Black and White Spider Awards in the category People. 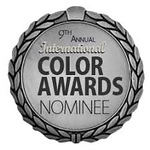 2017 - 10th International Color Awards, Nomination in Fine Art. 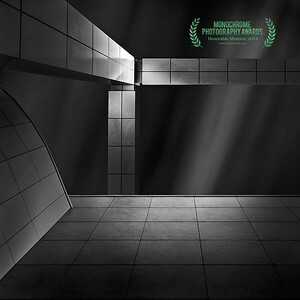 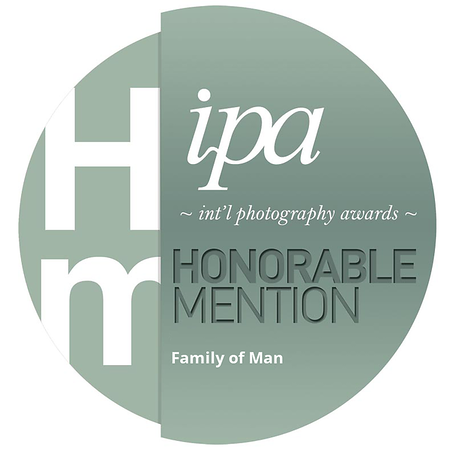 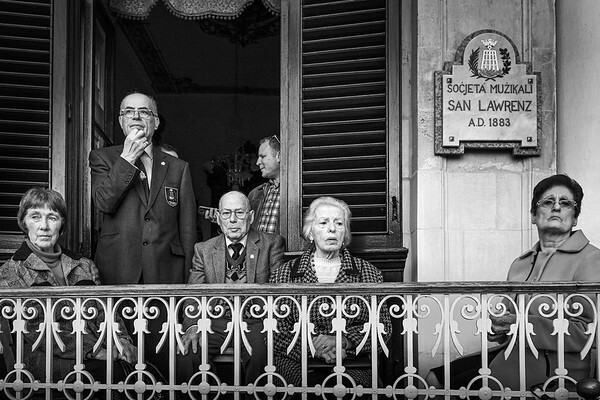 2 Honourable Mentions awarded in the Professional Category: "Family of Man" competition. 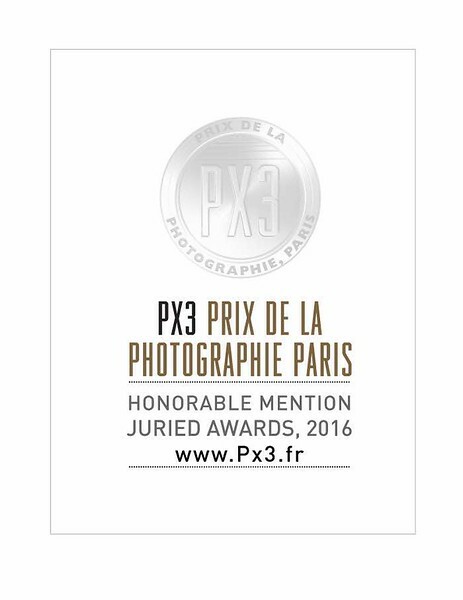 2016 - The most important fine art photography competition in Europe and one of the first in the world. 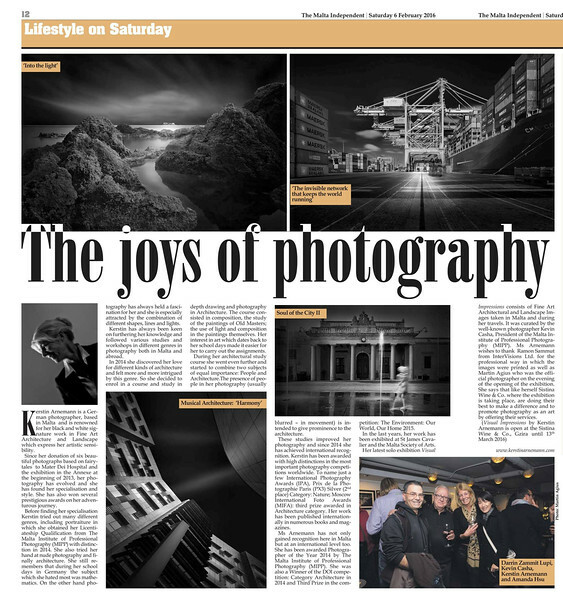 2016 - Featured Artist in the Sunday Times of Malta. 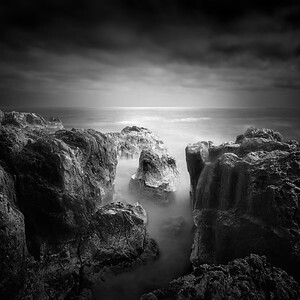 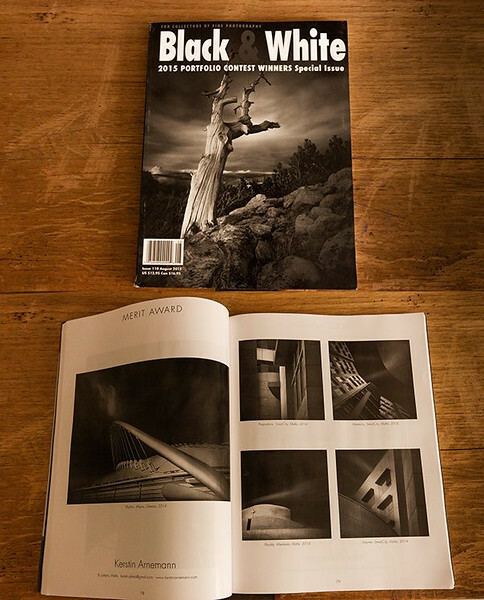 2016 - Featured Artist with Interview in the February/March issue of Adore Noir Magazine, a Vancouver based, digital fine art photography magazine. 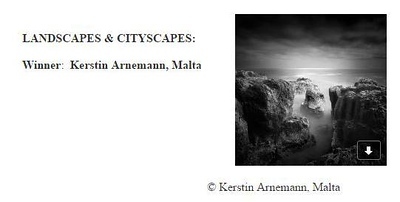 2016 - My exhibition "Visual Impressions" has been featured in the local newspaper "The Malta Independent"
"Kerstin's image is breathtaking in so many ways - it's light, the composition, that leads your eye through the frame, the dramatic monochrome. 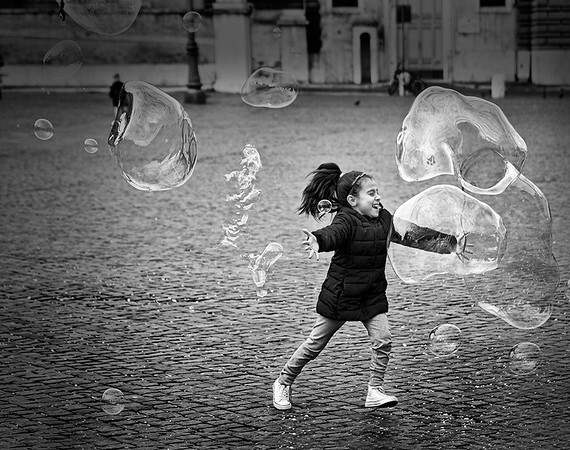 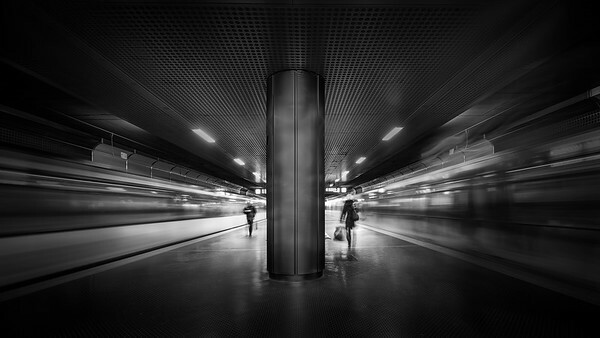 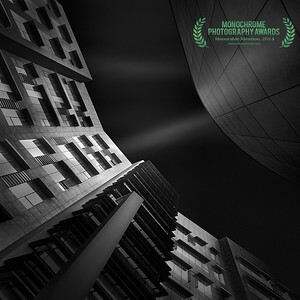 This image perfectly embodies, the technique in this week's main feature........"
2015 - Moscow International Foto Awards. 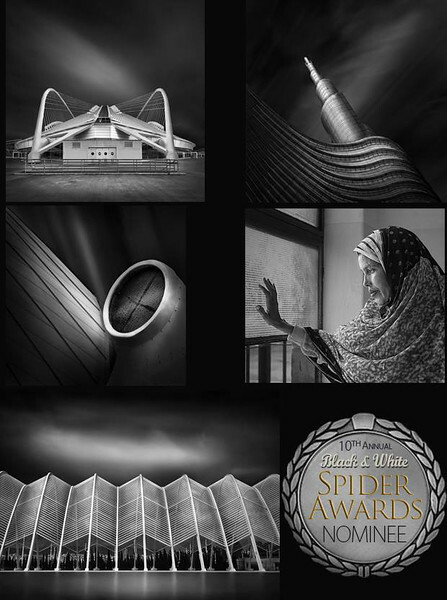 Third prize winner awarded in Architecture. 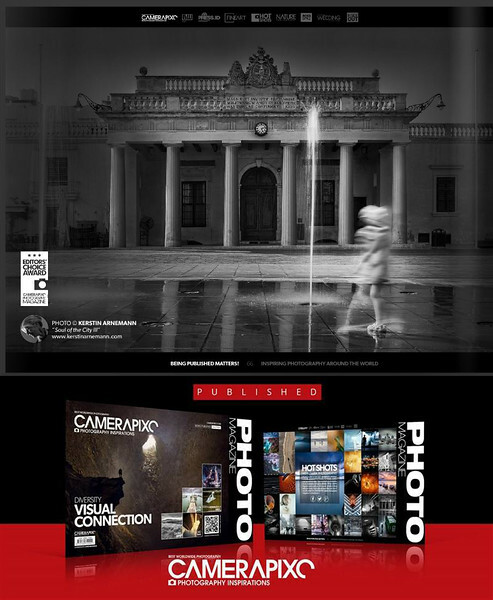 Featured Photographer in Camerapixo Magazine Issue "Visual Connection" October 2015. 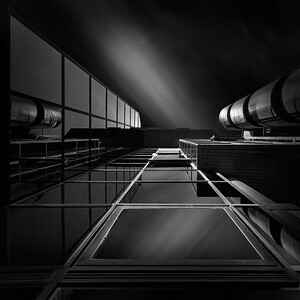 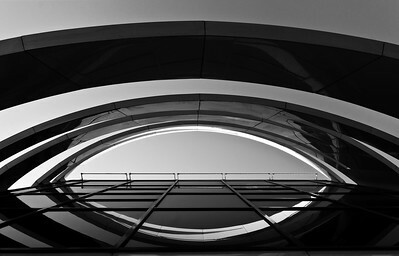 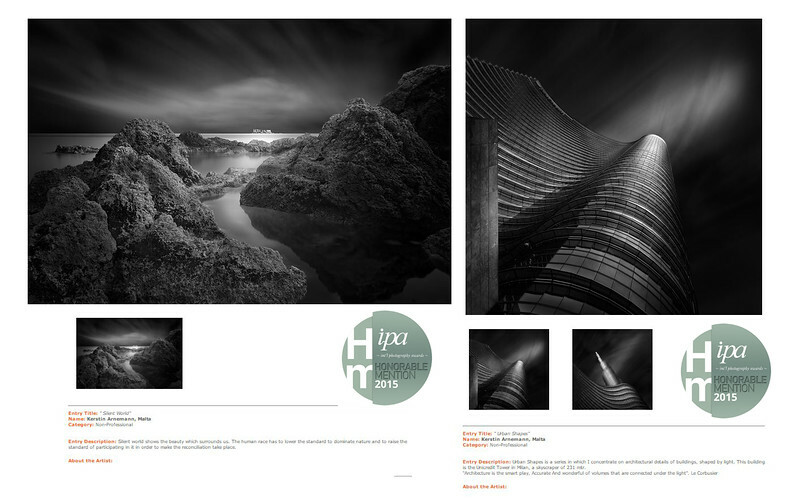 2015 - International Photography Awards Honourable Mentions awarded in Fine Art Landscape and Architectural Building category. 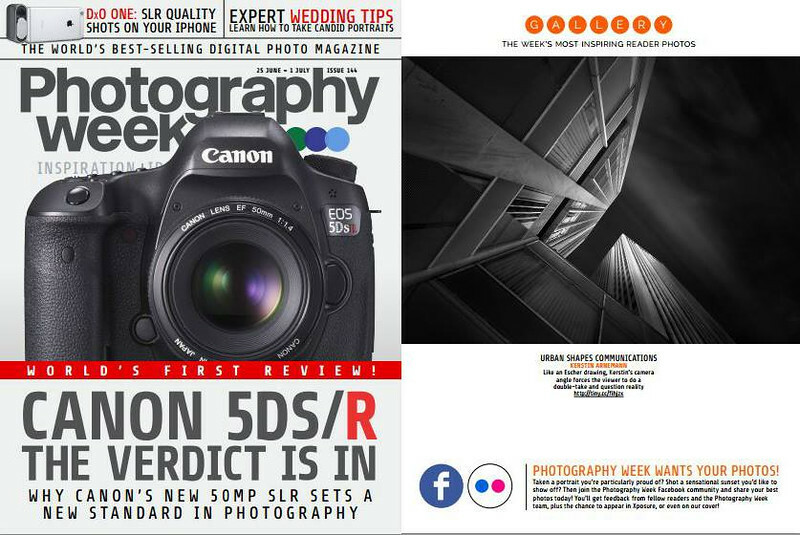 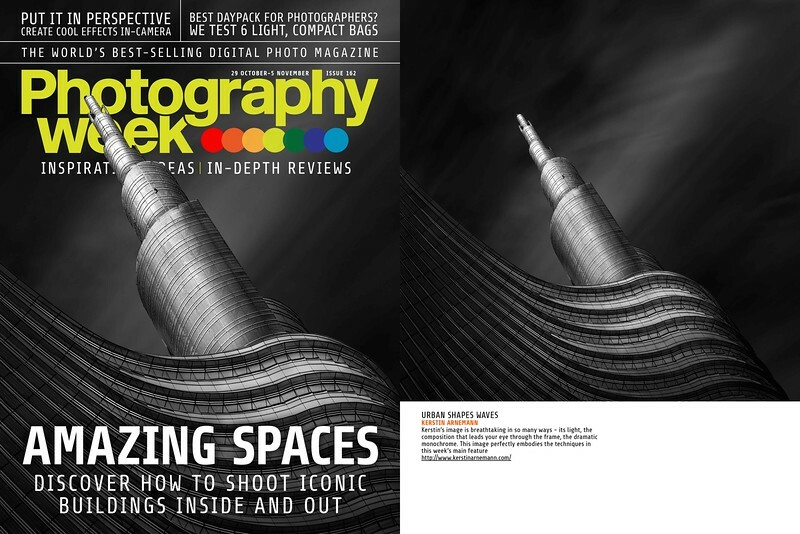 Published in Photography Week Magazine, Issue 155, as the "Most Inspiring Reader's Photo"
2015 - Two honourable mentions in Fine Art Photography Awards. 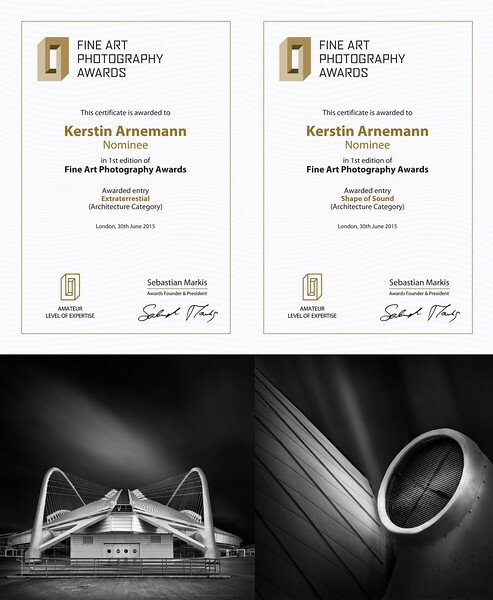 Fine Art Photography Awards received more than 3000 submissions from 77 countries around the world. 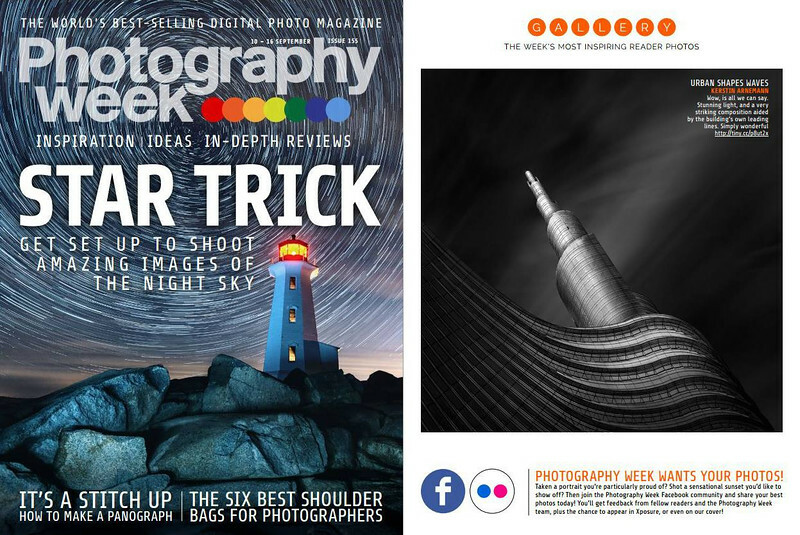 Published in Photography Week Magazine, Issue 144, as the "Most Inspiring Reader's Photo"
2015 - The most important fine art photography competition in Europe and one of the first in the world. 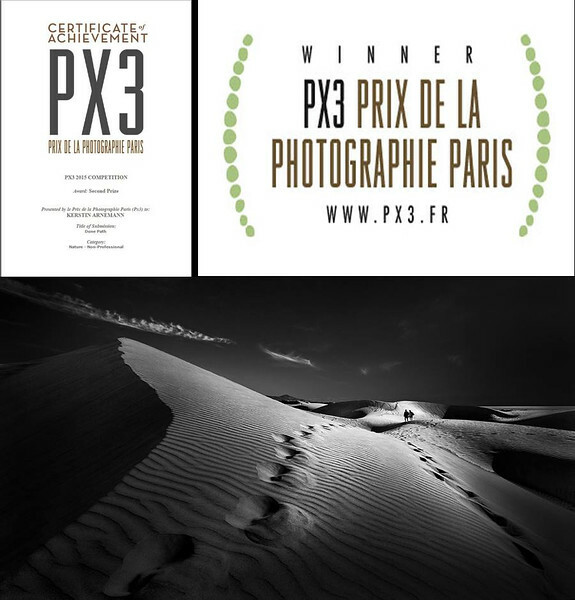 PX3 Prix de la Photographie Paris - Second Prize Award in the Nature Category for the image "Dune Path"
Awarded Silver Photography Award in Fine Art No.2 book and featured on the book cover. 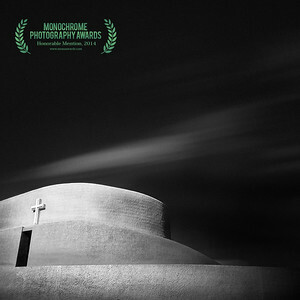 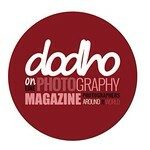 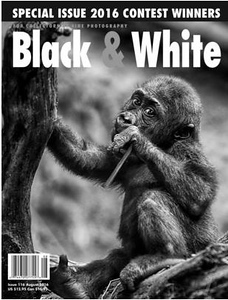 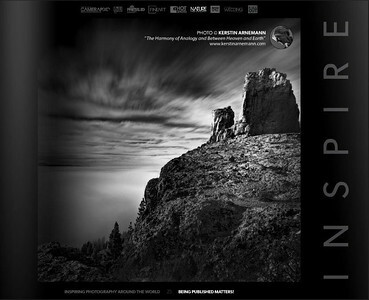 February 2015: featured by magazine Dodho.com an independent magazine born in 2013 that features the best of contemporary photography from all over the world. 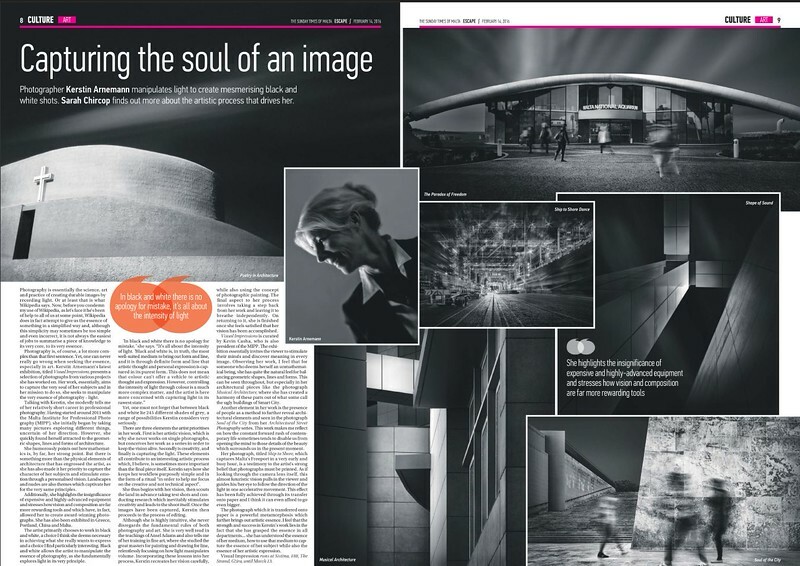 January 2015: Interview by the prestigious magazine Shut Your Aperture under Artist, Photography and Inspiration about my series Musical Architecture. 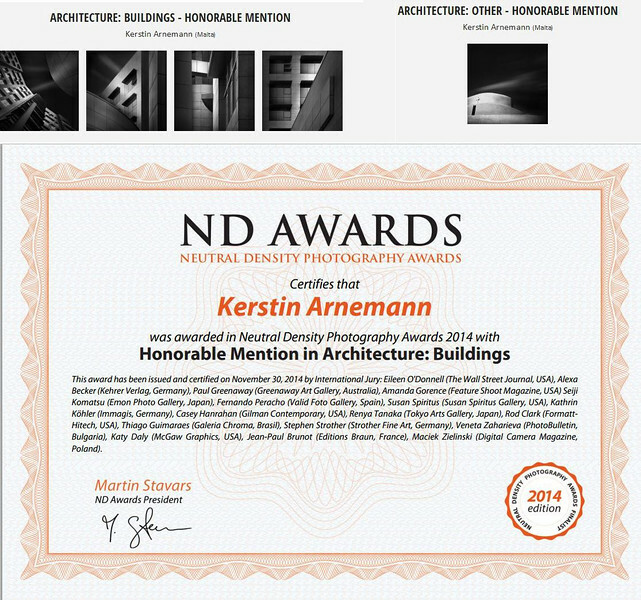 November 2014: winner of Honourable Mention for the series Musical Architecture and Poetry in Architecture at ND Awards 2014. 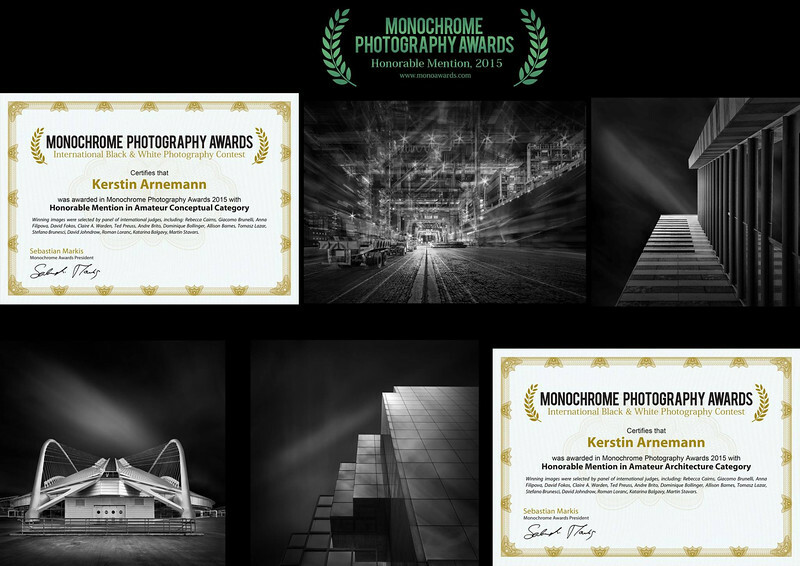 This year, 24 international jurors reviewed over 3000 entries submitted by the World's Finest photographers in 76 countries. 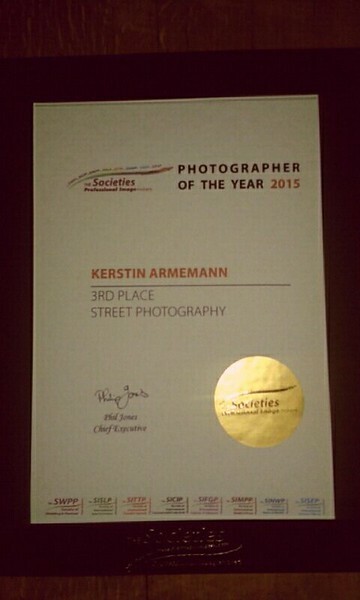 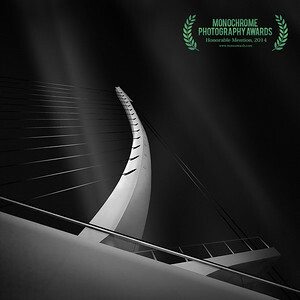 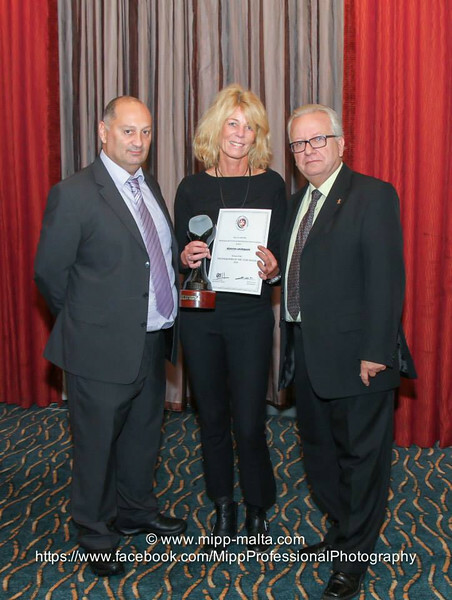 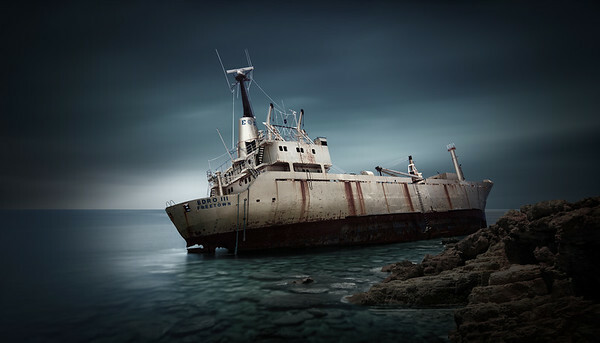 November 2014: awarded photographer of the Year in 2014 by Malta Institute of Professional Photography (MIPP Malta). 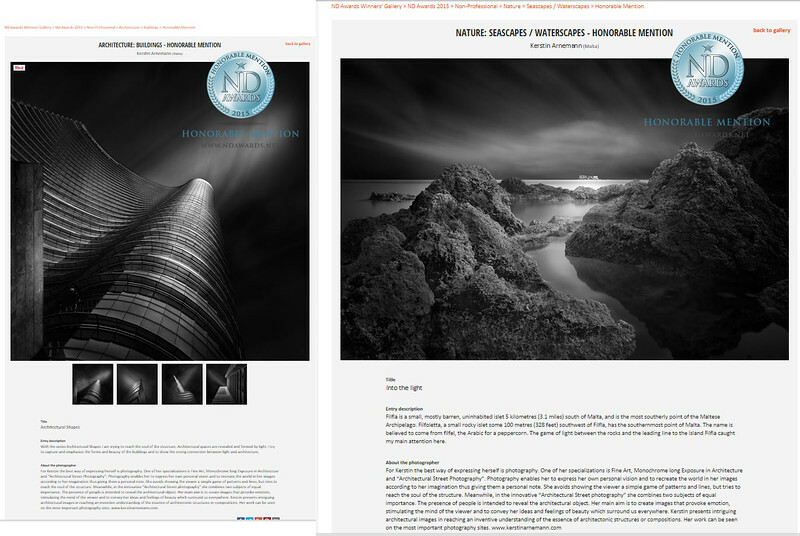 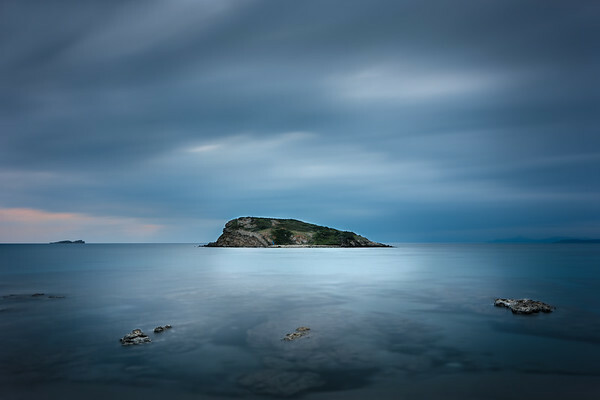 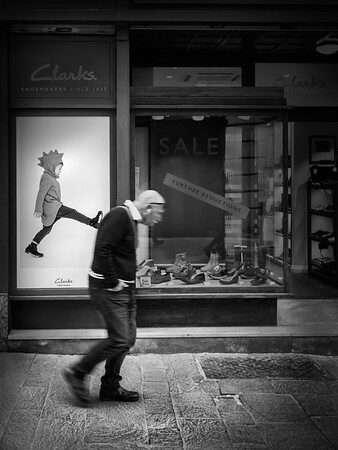 Featured Photographer in Camerapixo online magazine and Fine Art book. 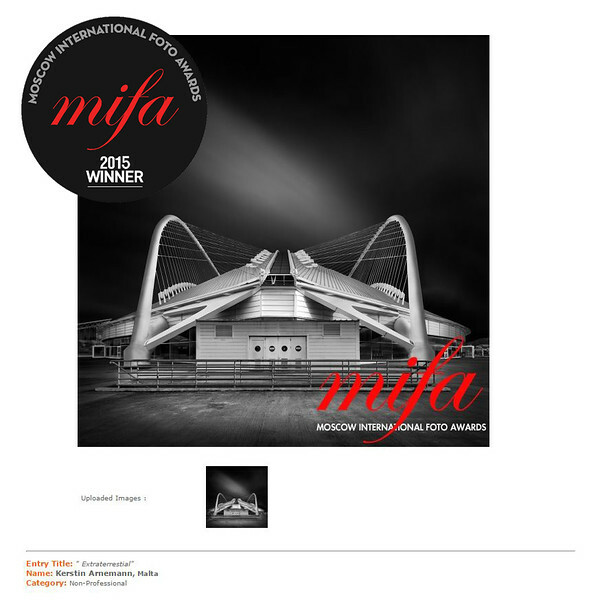 October 2014: Winner of the Department of Information (Government Organization Malta) competition in local Architecture.